The nomination period for the 2019 Recovery Awards is now closed. Stay tuned for the announcement of this year’s awardees. The 2019 Recovery Awards will be presented in Las Vegas, NV, during the Foundation for Recovery’s Awards Dinner “Thinking Outside of the Box.” The event will be held at Tuscany Suites and Casino on Saturday, May 18, 6:30-9 p.m. Awardees receive two (2) complimentary tickets – awardee plus one (1) guest. Winners must be present at the event to accept their award. The recipient of this award has proven to be an outstanding individual or organization that is supportive of addiction and mental health recovery and has consistently served the greater good of the community. The recipient of this award has proven their commitment to bringing the stories of recovery to the public at large, and/or their ongoing support of reducing the stigma associated with addiction and mental health challenges. 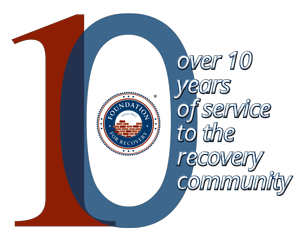 Nominations of individuals in the recovery community with a high public profile (celebrities and/or politicians – an easily recognizable name) are strongly encouraged. The recipient of this award has significantly contributed to the field of Addiction Studies by contributing to/being a part of cutting edge research, including data analysis and outcomes studies and/or furthering the classroom experience for students studying this discipline. The recipient of this award has proven to be a Practitioner/Professional in the field of Addiction and/or Mental Health who has made strides to bring treatment and/or prevention to the forefront of the public’s awareness or has made breakthroughs in the treatment and/or prevention arenas around mental health and recovery.